The State of Kansas will likely have electronic W-2s available mid-January. Paper W-2s will be mailed by the State of Kansas by the end of the month. The State of Kansas will mail your W-2 to the address Human Resources has on file as your home address. You can also access your W-2 online through the State of Kansas Employee Self-Service website. For more information, please visit the instructions on the Payroll Website or contact the Payroll Department at 785-864-4385. Save the date for the 2016 Staff Leadership Summit! This free event is an opportunity to learn from your colleagues here at KU. The program will highlight Jayhawk Leadership through Innovation, Engagement, Unity, and Diversity, featuring keynote speaker Mahesh Daas, dean of the School of Architecture, Design & Planning, and ACSA distinguished professor of architecture. On October 15, 2015, all USS and UPS Administration and Finance employees included in Phase I of the Performance Management System received an email from the Performance Management System notifying them that the 2015 Annual Performance Evaluation had been launched and the self-evaluation was available for them to complete. Completion of the 2015 Annual Performance Evaluation begins with the employee completing their self-evaluation. The self-evaluation is due January 4, 2016. Once the employee completes their self-evaluation in the 2015 Annual Performance Evaluation, the employee will forward the self-evaluation to their supervisor within the Performance Management System. If the self-evaluation is not completed by January 4, 2016, the 2015 Annual Performance Evaluation will automatically be forwarded to the supervisor for completion. Completion of the 2015 Annual Performance Evaluation within the Performance Management System requires at least one goal be established in the Performance Management System in order for the form to moved forward to their supervisor. If, as of January 4, 2016, the employee does not have at least one goal established in the Performance Management System, the form will not move forward and will stay with the employee until the supervisor or the employee establish at least one goal and the employee forwards the self-evaluation form to their supervisor. Training has been scheduled specific to the 2015 Annual Evaluation Form in the Learning Management System. Training guides and information are available on the Performance Management Website. Training will begin on January 5, 2016 for units included in the second Phase of the Performance Management system implementation. Human Resource Management has been working to schedule on-site training with departments as well as offer open sessions for employees included within Phase II, and/or an online training for those unable to attend in person. Employees can locate available training using the Learning Management System. A full listing of the departments in Phase II is available on the Talent Development Project Page under “Performance Management System Timeline Phase II”. NEW Vision Vendor: Surency Vision will be the new vision provider replacing Superior Vision. More information on this plan and other value added benefits can be found on the Surency Website. When an employee terminates employment or retires, the employee’s SEHP coverage will end at midnight on the last day of employment. Network Deductibles are $400 Single and $800 Family. Non-Network Deductibles are $600 Single and $1,800 Family. Plan C deductibles are $2,750 for Single and $5,500 for Family. Maximum HSA Contribution Levels (including employer contribution) for Family coverage of $6,750. Single coverage remains at $3,350. Those age 55 or older can make additional “catch-up” contributions to their HSA each year, up to $1,000, until they enroll in Medicare. Note: If you have moved, please make sure that your current mailing address has been updated in the HR/Pay system and MAP to ensure prompt delivery of your new cards. Update your mailing address in HR/Pay by using Self-Service (Main Menu>Self Service>Personal Information> Home and Mailing Address - select the red pencil icon to edit). And, also update your address in MAP. Health insurance elections made during October’s Open Enrollment became effective January 1, 2016. The first deduction for 2016 will be taken from the January 15, 2016 paycheck. Please review your January 15, 2016 paycheck to verify correct benefit deductions for 2016. For everyone except academic year faculty and staff, deductions for health insurance, HSA and FSAs will be made semi-monthly (24 deductions) from the first and second paycheck of each month for that month’s coverage. Those deductions will not be taken from the January 30th, July 31st and December 31st paychecks. If your benefit deductions appear incorrect, please contact the Benefits Office immediately at benefits@ku.edu and be prepared to provide a copy of your Open Enrollment confirmation printout. The employer contribution amount will be based on your enrollment at the time the employer contribution is made. The first HSA deduction will be taken from the January 15, 2016 paycheck. Twelve-month staff will have deductions from 24 checks (the first two checks each month). When the month has a third paycheck no deduction will be taken. Academic year faculty and staff with positions designated as less than twelve-month will have HSA deductions from 24 checks (the first two checks each month). Therefore, if there are summer paychecks, the HSA will be taken from those checks. Beginning in September, the balance of the HSA annual contribution amount will be taken from eight remaining checks in the year (the first two checks in the months of September through December). Employees enrolled in Plan C who also participate in a Health Savings Account (HSA) or Health Reimbursement Account (HRA) recently received a letter explaining the transition of their HRA/HSA from U. S. Bank to Optum. This transition will not change your account in any way. You will continue to have access to the same tools to help you manage your health and health care dollars. The transfer from US Bank will be completed on December 31, 2015. You can access your account after by logging in to the Optum Website. Please note that you will receive a new Optum payment card soon. Until you receive your new card, you can continue to use your U.S. Bank payment card. MyCDH by Optum Mobile App is available in Apple and Android devices. If you have additional questions, you can reach Customer Service from 7 a.m. to 7 p.m. CT, Monday through Friday, at 1877-470-1771. FSAs for calendar year 2016 became effective on January 1, 2016. The first 2016 deduction for health and/or dependent care FSAs will be taken from the paycheck dated January 15th, 2016. Both the regular and limited scope Health Care FSA will allow up to a max of $500 to be rolled over into the next plan year. Eligible claims incurred between January 1, 2015 and December 31, 2015 must be submitted by April 15, 2016. Employees with prepaid summer benefit coverage will prepay your summer health insurance and optional group life insurance premiums during the designated spring semester payroll periods. If you will not be returning to KU in the subsequent fall semester, the prepaid summer deductions will be refunded. Dependent Care FSA deductions will be taken from 16 checks (the first two checks during the first four months of the year (Jan – Apr), and the last four months of the year (Sept – Dec). Health Care FSA (both regular and Limited Scope) deductions will be taken from 24 checks (the first two checks each month). Therefore if there are summer paychecks, the Health Care FSA deductions will be taken from those checks. Beginning in September, the balance of the Health Care FSA annual contribution will be taken from eight remaining checks in the year (the first two checks in the months of September through December). A memo will be sent to academic year faculty and staff in the Spring about the prepaid deduction schedule. For calendar year 2016, the Internal Revenue Service kept the contributions limits for both 403(b) voluntary retirement and 457 deferred compensation plans. The basic maximum will stay at $18,000; and for those age 50 and over, an additional $6,000 is allowed. If you are interested in starting or increasing your voluntary retirement contributions, more information is available on the Human Resource Management Voluntary Retirement page. Each year the State Employee Health Plan (SEHP) offers free biometric screenings for employees enrolled in the State insurance plan. These onsite screening are worth 5 HealthQuest credits. The upcoming opportunities for KU employees to attend a screening in Lawrence will be February 1-2, March 17-18, May 9-10, and July 13-14 at the Kansas Union. From November 16, 2015, through November 15, 2016, employees enrolled in the medical portion of the State Employee Health Plan (SEHP) have an opportunity to earn credits by participating in wellness activities offered through HealthQuest. Those who complete a required health assessment questionnaire worth 5 credits and earn an additional 25 credits by November 15, 2016, for a total of 30 credits, will receive an incentive. The incentive is a $240 annual discount on the medical plan premium for Plan Year 2017. For additional information, please visit the HealthQuest Rewards program website. The Discretionary Day is an additional day with pay provided to those who hold an appointment to a regular position, with an appointment percentage that is equal to or greater than 48% with 6 months of current continuous regular service with the state. This applies to university support staff, unclassified staff and fiscal year faculty. This day may be used to observe a religious holiday or other special occasion. Academic year faculty members are not eligible to earn a Discretionary Day. The allocation is on a calendar year basis and the 2016 Discretionary Day may be used starting on 12/20/2015 through 12/31/2016. For more information, please visit the HRM website. We encourage you to keep your personal and demographic information current in our Human Resource/Payroll system by using self-service. For those who will be issued a paper W2 it is important for your home address to be current. In addition, we would like to remind you to review and update your KU Directory, Ethnic Groups, Veterans Status and Disability data. To do so, please visit the HR/Pay Self Service website and follow this navigation: Main Menu>Self Service>Personal Information. More information is available at General Information. KU’s Student Employee of the Year committee is now accepting nominations for the 2015-2016 award. This award was established to recognize student employees who embody service, excellence, dedication, and whose academic achievements remain stellar. Departmental supervisors may submit their nominations via an online form. The deadline for nominations is January 31, 2016. Only one nomination per student will be accepted. For additional information and eligibility criteria, please visit the University Career Center website. The KU Card Center, Human Resource Management (HRM), and Information Technology partnered to display the faculty, staff and student employee photo images from the KU Card in the Talent Development System. If you wish a more current photo and your KU Card is 4 years or older, you can have it replaced for free at the KU Card Center located in the Kansas Union on Level 4. If you do not wish to have your KU Card photo in the Talent Development system, instructions are available to change your personal image to the Jayhawk. The Tobacco Free KU initiative has an adjusted target date of July 2017. Other Kansas Board of Regents schools, including KSU, WSU and ESU, have begun projects to also move toward being tobacco free. Local Lawrence initiatives include making city parks tobacco free, and the Kansas City Metro Area has raised the legal age for purchasing tobacco products to 21. For more information, please visit the KU Tobacco Free website. When KU employees get sick at work, they can now see a provider and be treated the same day right on campus at Watkins Health Services (WHS)! The clinic treats acute onset problems such as bone and joint, respiratory, gastrointestinal, urinary, skin issues, etc. Chronic conditions are best managed by your Primary Care Physician. Work related injuries are managed by Lawrence Memorial Hospital as the University’s approved provider. WHS is in-network with the State of Kansas employee health insurance carriers and submits claims to most insurance companies with the exception of Medicare or Medicaid, as WHS is not a participating provider with these federal programs. Patients will be billed for out-of-pocket balances on a monthly basis. If you have questions or would like to schedule an appointment, call the ICC at 785-864-9565 2. Visit WHS website to learn more about the ICC and other faculty/staff services. 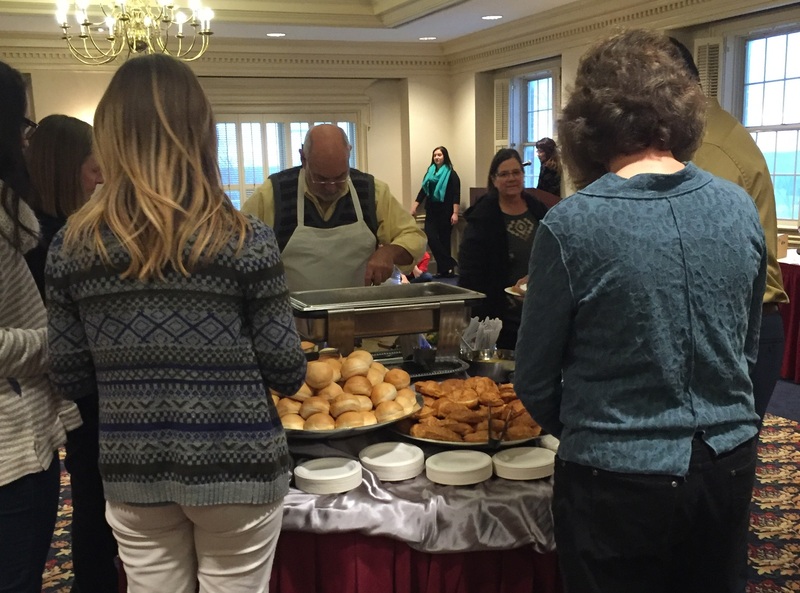 On December 17, 2015, the Chancellor and Human Resource Management hosted the Chancellor’s Holiday Reception for all University faculty and staff. 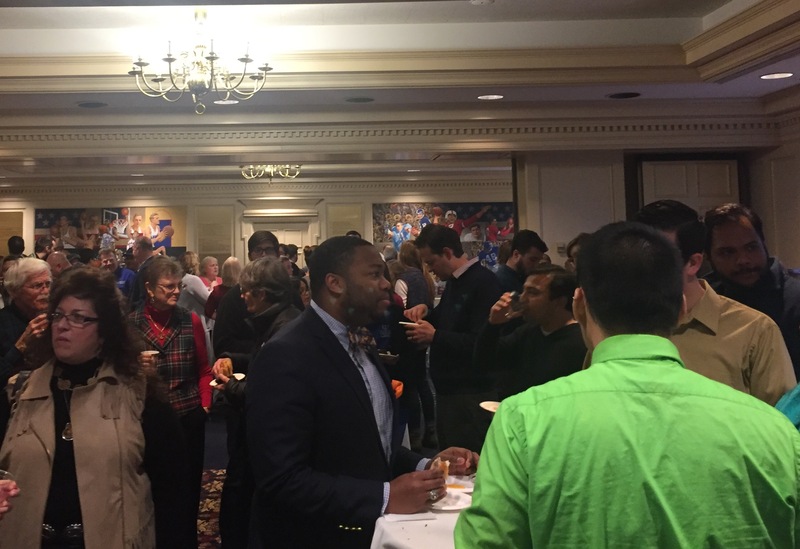 The reception was held at the Adam’s Alumni Center and those who attended enjoyed a delicious spread of snacks and treats from the Union, music performed by the KU Youth Choir and five people walked away with gifts given away through a drawing. Thank you to all who attended, and those that did not, we hope to see you next December!